BMW and MINI Shine on 2016 Wards 10 Best Engines List | Atlantic Autowerks Ltd.
Last year, MINI took home the gold with its B38A15A 1.5 liter three-cylinder engine. This year, it's up for nomination with the same model, in addition to the new X1 engine. 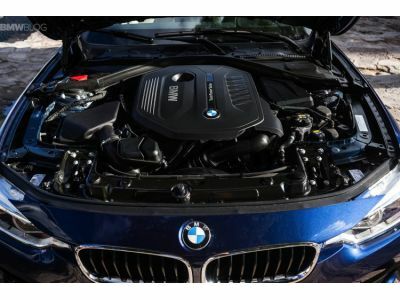 With the level of responsiveness, reliability and power that consumers have come to depend on from their MINI vehicles, it's no surprise that BMW is constantly upping their game and making improvements to the brand's engines. Expected to be announced in early 2016, the editors at WardsAuto are currently driving the vehicles nominated and rating their engines based on drivability, torque, horsepower, noise, fuel economy and more. If history has taught us anything, though, it's that BMW and MINI will find a way to impress and, almost certainly, feature in the editor's top picks. At Atlantic Autowerks, we're proud to service the best engines in the industry, not just in our opinion but in the eyes of established, trustworthy industry professionals. From the powerful BMW B58 to the MINI's feisty B38A15A, we're the area's top auto service station for BMW and MINI vehicles. If you've been looking to have your engine tuned, your oil changed or your vehicle inspected, give us a call today and schedule an appointment!